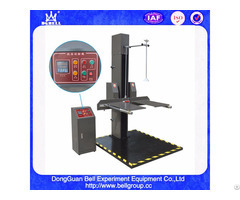 This computer servo control tensile tester is design and manufactured to measure & test mechanical performance like tensile strength, compression strength, peeling strength, bending, cutting, shearing, tearing strength of metal, non metal and composite materials . 1. 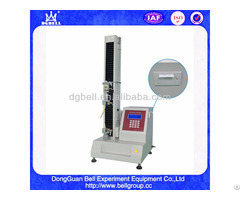 Computer servo control universal tensile tester adopt double column type gantry structure. Tension, compression and bending on downside. 2. High precision ball screw :drive middle cross grinder move up and down, transmit load. 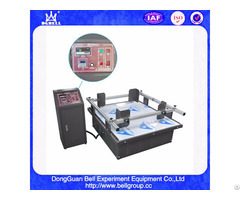 Servo motor drives the synchronous gear system and high precision ball screw move up and down the cross grinder rotate load, finish various testing . 1. Exquisite appearance design . 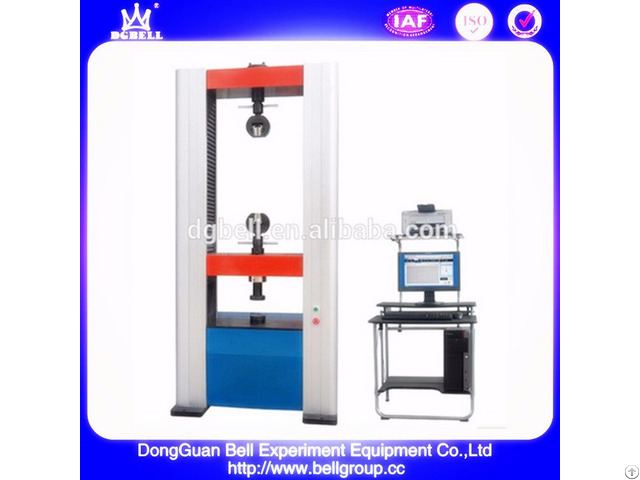 Bell has pay attention on the equipment appearance design, some testing equipment had already get national appearance patent . 2. Main key parts adopt international famous brand like Panasonic servo system, Celtron loading sensor etc. 3. With circular arc synchronous type advanced gear system, have advantage of high efficiency, long service life, low noise, easy maintenance etc. Adopt digital phase locked loop pulse control model, without falling & disorder. 4. Use high precision ball screw load. Stable loading, machine with long service life, good stability and energy saving. 5. Multi protection devices . For example : various electric protection, over load, over displacement, safety force limitation for software etc. 6. Easy, reliable, and powerful operating interface . 7. Open data structure, both the results and process parameters available. 8. User can edit report .Data output with EXCEL format, easy for later usage.